Hey all! Apologies for the lack of posts :( I have been feeling so unmotivated to blog recently but I am getting out of that mentality and hopefully I will get back in to it! 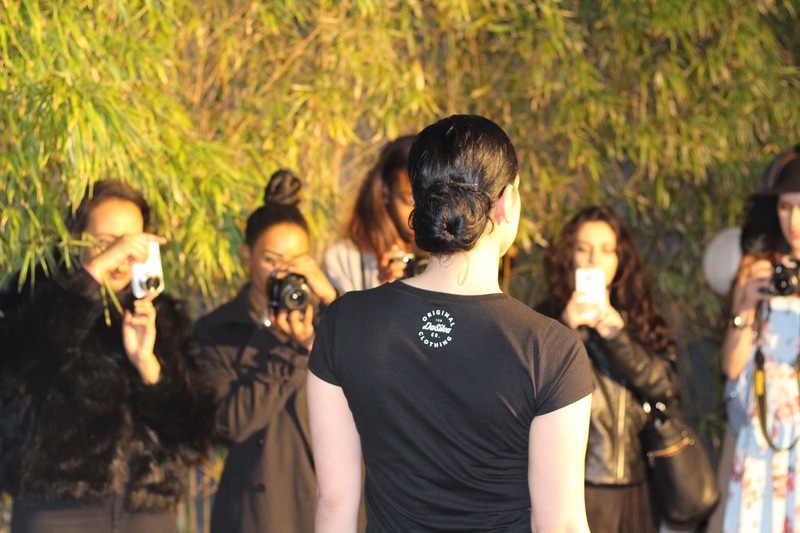 This post is to tell you about The Bloggers Hangout : Bloggers Fashion Week Event I attended last Momday. 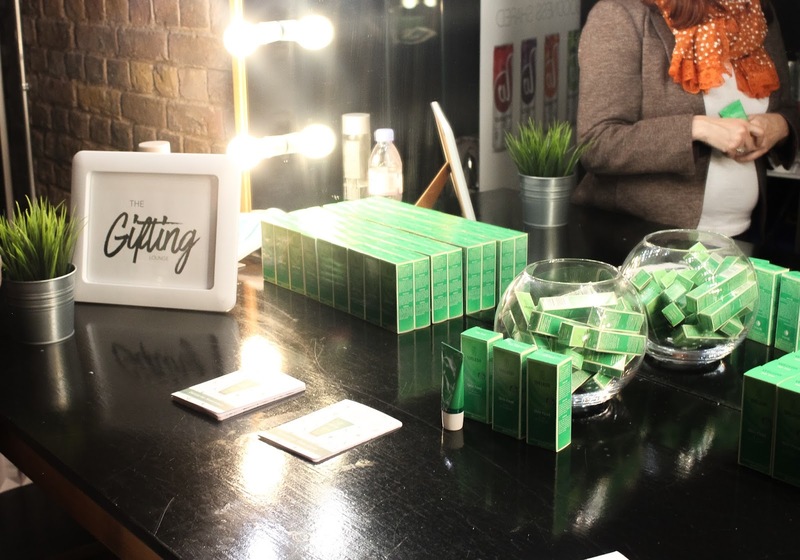 I have been to a Bloggers Hangout Event on my jack jones before so this time it was really lovely to go along with some of the lovely ladies I have met through blogging! (LauralivingLife, ShannonKara and RianneMitchell - check their blogs out!). It was lovely to also run into a few bloggers that I speak to on Twitter and Instagram..! PurePotions - this brand produces all natural, Vegan skin care products, I am looking forward to trying the scar oil mostly! SensatioNail- I already have the Sensational gel nail kit and it is great if you don't want to spend a fortune on getting your nails done at the salon. The ladies at SensatioNail were super lovely and they gifted me with their new Polish to Gel transformer that will change any existing nail polish you have into a gel polish! I am excited to try this with my fave nail polish: OPI Dulce de Leche! ThumbsUp- I was looking on when people were having these nail wraps applied on the day and it looked so easy to do! I don't know if it will be that easy when I try it out but I really like the different prints available. Kenneth Turner: This brand has a range of products that includes, hand lotions, room sprays and candles. Their stand smelt amazing! I am a fan of fresh smelling scents so anything cotton/linen and light florals and I am involved! The Celebration room cologne smells amazing! Curl Company : I was drawn to this stand because their advertising featured women of colour with natural curls! I literally never try new hair products.. Shea Moisture works for me and I am terrified of trying something else but I will definitely give this a go and let you know how I find it! Berry White : This is an organic drinks brand... The sample I tasted was lovely. Lab2: You may have seen the Lab2 brushes in some of my posts - these were my go to before I turned to Morphe brushes- they are super soft, affordable and cruelty free! The brand have now bought out a few beauty blenders. I recently tore my Real Techniques blending sponge so it will be great to try this one out. Magnitone where on hand demonstrating their facial brush.. omg guys... the brushes are ridiculously soft and since Monday I have found out that these brushes are a blogger favourite. I think I may have to invest in one! Magnitone provided us with a code for anyone who is interested in purchasing one: if you put BUZZOFF into their coupon code section you get £20 of any Magnitone product! Kenneth Turner also provided us with a code... BLOG20 gets you 20% off any Kenneth Turner product. 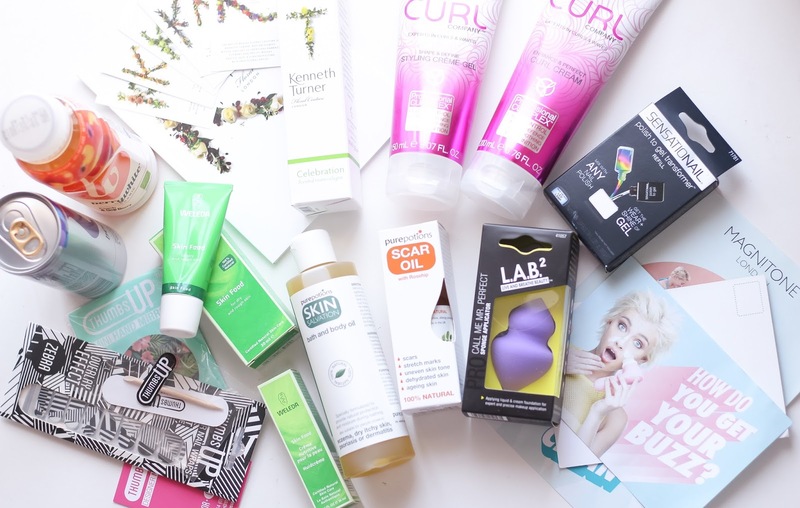 * All products mentioned are PR samples that were gifted to me at the event by these brands. None of these brands asked me, coerced me or paid me to write about their items ;) I was required to write about the event by the Bloggers Hangout. Long time guys!! I have lots of posts that I have been meaning to write up but life has been a bit hectic.. Masters life isn't easy *welps*. 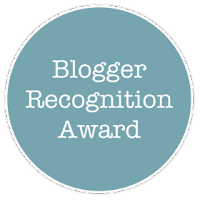 Anyway recently I have been nominated for a Liebster Award by the gorgeous Shannon from ShannonKara and a Blogger Recognition Award by the equally gorgeous Nicole from WhatNikkiDid. Thank you both so much for nominating me!! Check their blogs out guys!! I think these awards are amazing as it really widens the reach of us smaller bloggers. I have been reading both these girls posts and have clicked through to lots of new bloggers that I wouldn't have known if not for this! Both awards have different rules but I have decided to put them both in one post and tag everyone at once! 2. Answer the questions asked by the person who nominated you. 4. Create a list of new questions for your nominees to answer. 5. Once your blog is published, let your nominees know that they have been nominated & link them to your post for more details. How long have you been blogging and what made you start? I've been blogging for a couple of years I believe, however I never took it too seriously. lol tbh I'm not sure I take it seriously enough now..! It started off as a thing I wrote because people kept asking me how I did my hair! Where do you see yourself in five years time? hmmm... good question... By God's grace I would love to own my own home and be working in a Widening Participation Department at a university! High street or High end fashion? High street for clothes but high end for shoes! I think every woman should own one pair of designer shoes in their life. What do you expect on a first date? As long as it includes food I'm good.. lol I don't know how I feel about those wild adventurous dates :? Who are your top 3 Vloggers? I don't tend to watch vlogs too often but my favourite YT people are Jackie Aina, Nikkie Tutorials and Patrick Starrr. 1. Batman or Superman? Chocolate or Red Velvet? Harry Potter or Lord of the Rings? 2. What is your favourite beauty product of all time? 3. What have you learnt on your blogging journey? 5. What is your top wardrobe essential? 6. If you could live the rest of your life by one quote, what quote would it be? 7. What advice would you give to a newbie blogger? 2. Write a post to show off your award! Give a brief story of how your blog got started, and give a piece or two of advice to new bloggers. Thank whoever nominated you, and provide a link to their blog. List who you’ve nominated in the post. 3. Make sure to also attach the award itself! (You can do this by right-clicking, saving, and uploading the image above). 4. Comment on each blog and let them know you’ve nominated them. Provide a link to the award post you created. 5. Provide a link to the original post on Edge of Night. That way, anyone can find the original guidelines and post if needed, and we can keep it from mutating and becoming confusing! (It happens LOL). I started my blog a couple of years ago, it started as one post I wrote as lots of people were asking me how I did my hair. That post has actually now been deleted because I decided that hair blogging was not my real interest and the post wasn't very good in hindsight. I finally made up my mind to just continue posting, but this time about beauty which I was more interested in. A piece of advice I would give to a newbie blogger would be to have fun with it! Obviously if you want to be a full- time blogger you will need to put a lot of work in but if this is just your hobby don't stress about it too much! If life gets in the way and you miss a week or two worth of posts it's OK!! Those who truly love you blog will always be there when you return! 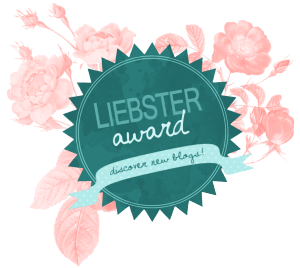 I looked on all your blogs and couldn't find any recent Liebster Award posts but apologies if you have already been nominated. You can choose to do any of the awards, both or neither! Either way shout out to all of you.. keep up the good work!